Where NCC works in Ontario. In 1968 NCC conserved the first project in Ontario — Cavan Swamp and Bog. This exceptional complex of bogs and other wetlands covers 3,400 acres (1,340 hectares). 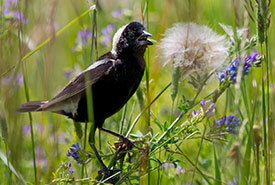 The site is now the Cavan Swamp Wildlife Area and shelters an abundance of wildlife, including 22 species of orchids. 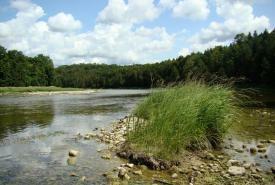 Today, NCC has helped to protect more than 200,000 acres (82,000 hectares) in Ontario. From the north shore of Lake Superior to Pelee Island in Lake Erie, NCC works to protect the province’s most significant natural landscapes. We focus our conservation work in priority areas, identified through science-based planning initiatives. 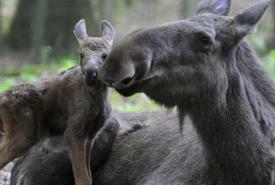 These are areas where species and ecosystems face the greatest threats. 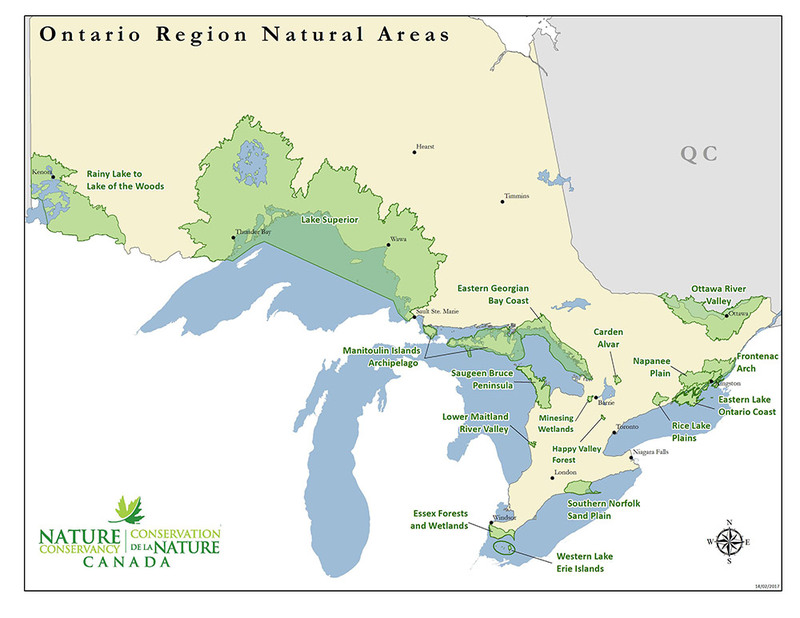 In Ontario, we work in 17 priority natural areas. 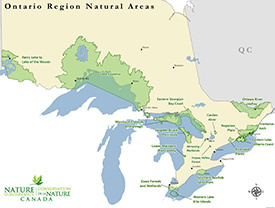 Together, these landscapes span the wide range of habitats and ecosystems that make Ontario unique. Located northeast of Lake Simcoe, the Carden Alvar supports some of the highest quality and most extensive alvar habitat on the planet within a mosaic of grassland, wetland, and forest. 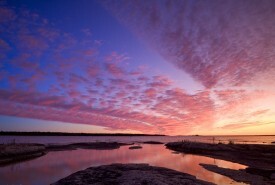 The windswept Eastern Georgian Bay Coast Natural Area is one of North America's most exquisite and distinctive landscapes. 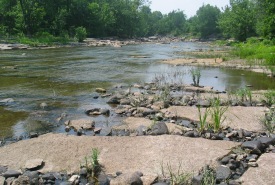 The high biodiversity values inherent to this area make it a top conservation priority. 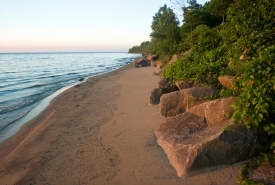 Located in the southwest corner of Ontario lies a rich collection of Carolinian forests, wetlands, prairies and Lake Erie shoreline. 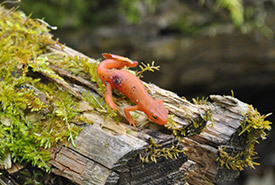 NCC’s Essex Forests and Wetlands Natural Area is an area of important biodiversity bordered by Lake Erie to the south, the Detroit River to the west and Lake St. Clair to the north. The Frontenac Arch, also called the Frontenac Axis, is a 50-kilometre-long extension of exposed Precambrian rock that runs through southeastern Ontario and upstate New York from Westport, north of Kingston, to the Thousand Islands. 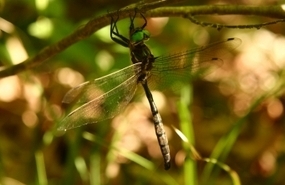 Surrounded by the growing metropolis of the Greater Toronto Area (GTA) in southern Ontario, Happy Valley Forest – Pottageville Swamp is a natural oasis with vast ecological, historical and cultural importance. 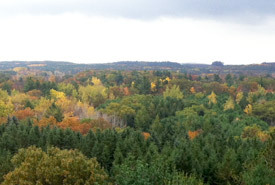 The Lower Maitland River Valley Natural Area is part of the Eastern Great Lakes Lowland Forests region, which occurs as a narrow band stretching from the central shores of Lake Huron in Ontario, across the north shore of Lake Ontario and along the St. Lawrence River corridor into Quebec and northern New York State. 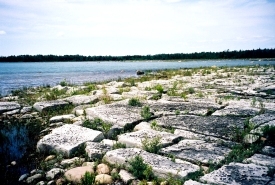 The Manitoulin Island Archipelago Natural Area is globally significant for its undeveloped Great Lakes shorelines and rare habitats, which support several species at risk, such as lakeside daisy and Hill's thistle. The Napanee Plain Natural Area is a 439,848-acre (178,142-hectare) complex of wetlands, forests, lakes, grasslands and alvars. 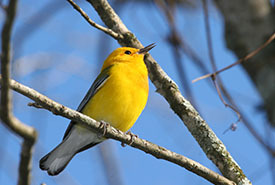 One of North America's great limestone plain landscapes, the Napanee Plain is a place where grassland birds thrive within one of the Great Lakes region's rarest ecosystems. World-renowned for its diversity of orchids and ferns, the Northern Bruce Peninsula is one of the best hotspots for biodiversity in the Great Lakes. 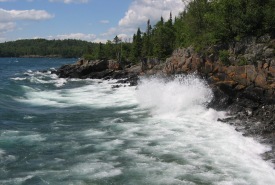 The northwestern shores of Lake Superior are a unique landscape and an important area for Great Lakes biodiversity as well as part of the Lake Superior National Marine Conservation Area. 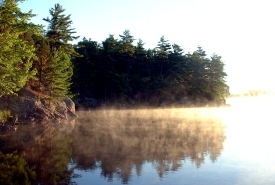 The Rainy Lake to Lake of the Woods Natural Area is the largest Natural Area in Ontario, spanning approximately 4.5 million acres (1.8 million hectares) and containing more than 16,000 islands. 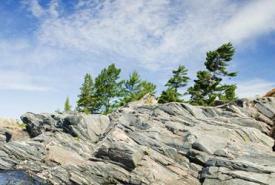 It is situated in the northwest of the province, approximately 300 kilometres from Thunder Bay. 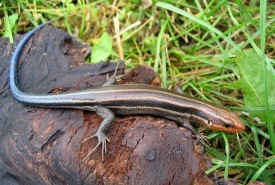 Norfolk County is a biodiversity hotspot and part of the Carolinian Life Zone; a unique ecosystem that extends northward from the Carolinas to its northern most point in southwestern Ontario.